It is with mixed feelings that I have decided to discontinue this blog. A very wise man (are you listening, Bill?) once told me that something isn’t worth doing if it isn’t fun anymore and this blog has reached that point where it is more of a job than fun. So this is it. Thanks to all of the tens of thousands of you that have stopped by. And goodbye. A thief covered his face with a pair of women’s blue underwear and used a pistol-shaped cigarette lighter in a botched robbery of a convenience store, police said. “I couldn’t make this stuff up if I tried,” [West Virginia] State Police Sgt. T.C. Kearns told The Journal in Martinsburg. The cashier at first thought it was a joke and refused to give the man any money, so he ran to a Jeep Cherokee and drove away at about 4 a.m. Wednesday, Kearns said. A few minutes later, police stopped a vehicle matching that description and took two men into custody. Police later charged Steven Clay Stephenson, 34, of Ranson in the convenience story robbery. Kearns said police found a pistol-shaped lighter while searching Stephenson. The underwear was recovered nearby. A [Lake Luzerne, NY] man was hospitalized Saturday after he accidentally discharged a round of ammunition into his abdomen using a screwdriver and a hammer, police said. The Warren County Sheriff’s Office was called to 2073 Call St. at 5:05 p.m. Saturday, where they determined that Damion M. Mosher, 18, had been discharging .223-caliber rounds by placing them in a steel vice, putting a screwdriver on the primer, and striking the screwdriver with a hammer, police said. The round went about a half-inch into his abdomen, police said. Mosher was treated at Glens Falls Hospital and was released, police said. Police said Mosher told them he was trying to empty the rounds so he could return the brass casings for scrap. He had set off approximately 100 rounds before being struck, police said. A Florida man was recently arrested for operating a marijuana growing operation in his home. His name? Stoner. No — really. May 14, 2007 Posted by oldstersview | Uncategorized	| Comments Off on “Stoner”? Really? Private enterprise. Maybe too private? A Chinese man is facing a trial over claims he dug a tunnel from his house to an abandoned coal mine. Police in Beijing city say they found the secret operation during a routine door-to-door search for migrants. “We heard loud factory machine noises from the house. Upon entering the yard, we found a lot of coal-mining tools, and several huge piles of coal,” says a police spokesman. After a search of the premises, police found an opening in the garage to a tunnel which connected to an abandoned coal mine nearby, reports the Beijing Times. The tenant of the house, Mr. Song, allegedly admitted that he rented the house because it was only 10 metres from the old mine. Police say the tunnel extended more than 100 metres, and that Song mined more than 1,300 tonnes of coal without a licence. May 14, 2007 Posted by oldstersview | Uncategorized	| Comments Off on Private enterprise. Maybe too private? Boy! Did she have a headache! 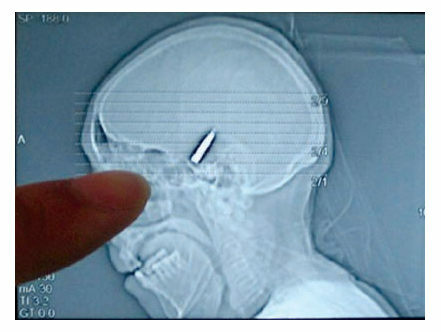 A Chinese grandmother who went to hospital with a headache was found to have had a bullet in her head for 64 years. Jin Guangying, 77, of Shuyang town, Jiangsu province, went to to Shuyang Leniency Hospital for an x-ray. “We were surprised to learn there was a bullet inside her head,” her son, Wang Zhengbang, told the Yangtse Evening Post. When Jin regained consciousness, she was already back home in bed. 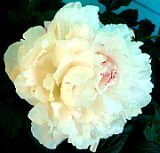 Her mother applied herbal medicines to the wound. Amazingly, she recovered after three months. May 14, 2007 Posted by oldstersview | Uncategorized	| Comments Off on Boy! Did she have a headache! Have the British gone mad? A playwright has been told to warn audiences his show features a roast chicken – to avoid offending vegetarians. Doug Devaney, 41, is starring in one-man play Mein Gutt, a black comedy about one man’s losing battle with obesity. May 9, 2007 Posted by oldstersview | Uncategorized	| Comments Off on Have the British gone mad? A Chinese park has reportedly painted stripes on a horse and is charging people to have pictures taken with the ‘zebra’. “We saw right away that the zebra is fake, but we are here for fun, so it doesn’t really matter,” said a mother who had just paid for her child’s picture. According to the City Evening News, the park says it doesn’t know if the horse is a zebra or not: “It’s not that important. It is for fun,” said a spokesman. A whole new meaning for “Ol’ Paint”. A man found trapped unconscious beneath a 1,000-pound tombstone in a[n Indiana] cemetery faces charges and might have to pay for damages, police said. Michael David Schreibers legs were broken by the stone, and the family name on the gravestone left the letter “V imprinted on his thigh, Merrillville Officer Ray Smith said. He said it took five officers to remove the headstone from Schreibers body Sunday morning at Calumet Park Cemetery. Schreiber, 22, of Merrillville faces charges of criminal trespassing, criminal mischief and public intoxication, police said. He also might be ordered to pay for damage to 14 headstones, Police Chief Nicholas Bravos said. Estimated damage totaled about $8,400, Bravos said. Looking for a definition of “jackass”? Look no further. This guy is it. 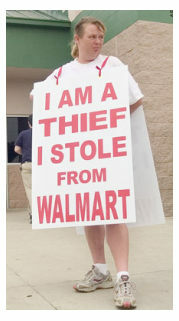 Lisa King Fithian is a walking billboard against shoplifting as she parades in front of a Wal-Mart in Attalla, Ala. – her penalty for stealing. A judge ordered her and another shoplifter to stand outside the store wearing the sign for four hours for two successive Saturdays to avoid serving 60 days in jail. Rival MPs exchanged punches, climbed on each other’s shoulders and jostled violently for position as Taiwan’s Legislature dissolved into chaos. More than two dozen MPs from the ruling Democratic Progressive Party surrounded the dais to try and stop Wang Jin-pyng, of the main opposition Nationalist Party, from speaking. The DPP claims Wang has abused his position as Legislative Speaker to block consideration of Taiwan’s 2007 budget. 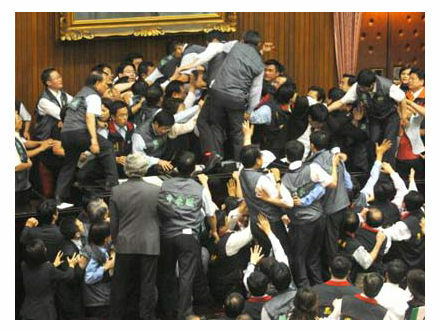 Responding to the DPP’s move against Wang, dozens of Nationalist MPs charged the DPP wall, pushing, shoving and exchanging blows with their rivals. Bulgarian train drivers have been issued with rotating chairs so they can pee out of the window without having to stop. The drivers union KNSB complained that, on some older trains, there were no toilets and they were having to pee out of the windows. In response the management agreed to fit the special chairs so the driver can turn and pee out the window without having to get up from the controls. A 29-year-old man arrived at a used car dealership lot in Connecticut last weekend with a Jeep stolen from the same location weeks earlier. Jazrahel King brought the used Jeep Liberty into Wholesalers of America in Norwalk, Conn., last weekend as a possible trade-in vehicle, but was promptly arrested after a sales manager recognized it as a stolen item from the previous month, the Stamford (Conn.) Advocate said Tuesday. “Driving a tractor is no Monkey’s business but in an interesting incident in Muzaffarnagar District in Uttar Pradesh state of India some mischievous monkeys got on a tractor and started driving it in a police station near here. As per the police, Monkey’s switched on the tractor’s engine & tried to drive it. The incident happened in Khatori village in Muzaffarnagar District over here. Police later turned off the engine. Not as idyllic as the image may suggest: German courts are starting to deal with increasing numbers of wind farm related cases. It’s an offense not mentioned in the bible or the statute books. But in a broader sense it is about theft, even when the booty itself is invisible. But it is still a major problem for the German legal system, including a court in Leipzig that is currently hearing a case involving a dispute between the operators of two wind turbine facilities. Who owns the wind? May 7, 2007 Posted by oldstersview | Uncategorized	| Comments Off on Who Owns the Wind? So you think you’ve got decorating problems? Next time you whine about it, think about Billie Broome. 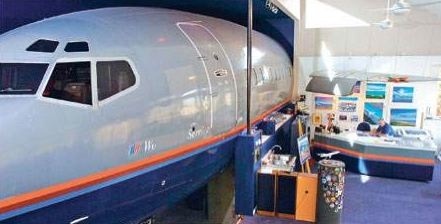 Her husband, Rick, added the better part of a Boeing 727 to their house, then built a sunroom around it. All Billie can say at this point is: “Thank goodness he didn’t bring the entire plane home.” Only the front section, from the wings forward, graces their residence — although “graces” hardly describes the looming presence of a 15,800-pound, 50-foot-long, 12.5-footwide, 27.5-foot-tall objet d’art. A passenger on an Australian-bound plane vomited a nylon bag of white powder suspected to be heroin, causing the plane to return to Vietnam in the latest drug mule case between that country and Australia, officials said. The Vietnam Airlines plane had been flying for an hour after leaving Ho Chi Minh City on Saturday when an Australian man of Vietnamese descent took ill, airline officials told the state-run Tuoi Tre (Youth) newspaper. The aircraft turned around and made an emergency landing at Tan Son Nhat Airport, where the man coughed up two more bags of white powder. He was detained by police and taken to hospital. Another newspaper, Lao Dong (Labor), reported doctors found 30 red nylon bags in the man’s stomach. Who said anything about the women being strange? Sweden – A soccer game between Muslim imams and Christian priests at the end of a conference to promote interfaith dialogue was canceled Saturday because the teams could not agree on whether women priests should take part. Church of Norway spokesman Olav Fykse Tveit said the imams refused to play against a mixed-gender team of priests because it would have gone against their beliefs in avoiding close physical contact with strange women. May 6, 2007 Posted by oldstersview | Uncategorized	| Comments Off on Who said anything about the women being strange? Canada’s postal system has stopped delivering mail to a home in Winnipeg, Manitoba, after a mail carrier was scared away by a “very threatening cat,” the Winnipeg Free Press said Friday. A Canada Post spokeswoman said the agency was concerned about the safety of its carriers, although it hoped for an amicable solution to its dispute with cat-owner John Samborski. 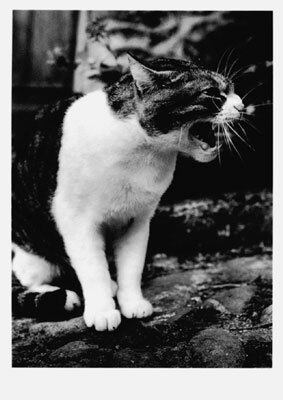 Had a neighbor once that had a big, nasty old tom cat that would climb up on the porch roof and lay in wait for the mailman, then drop down on his head and shoulders and attack. These guys werent exactly Snap, Crackle and Pop. What began as a faint popping in a 9-year-old [Albany, Oregon] boy’s ear — “like Rice Krispies” — ended up as an earache, and the doctors diagnosis was that a pair of spiders made a home in the ear. “They were walking on my eardrums,” Jesse Courtney said. Both spiders were about the size of a pencil eraser. The doctor put them in a little bottle and Jesse took them to school for show and tell.